Keep updated on local concerns or problems with water diseases or pollutants to address fish availability and consumer fears. Before deciding between selling or packaging freshwater catfish, a local survey will allow you to understand the needs of your area. Opening a private fresh fish shop allows you to determine your own inventory and how often to restock. Selling freshwater catfish is a way of life for many commercial fishermen. Freshwater catfish is sold in grocery stores, markets and restaurants. Catfish come from ponds, lakes or rivers across the United States. The selling of catfish begins by knowing the licensing and guidelines for anyone interested in selling this hot commodity. Once licensing is achieved, knowing the demand for freshwater catfish can lead to sound sales in the fisherman's region. Obtain a tax identification number before selling any product. If a self-employed person makes over four hundred dollars a year, a tax identification number is required. Fill out the tax identification application online or by contacting an accountant to get one. Secure a fishing license as well as licensed equipment tags, if you plan to also catch the fish. Read and understand all freshwater regulations, which are available in books at most sporting goods stores or businesses that sell hunting and fishing licenses. Consider what packaging and preparation is best for your local market. Freshwater catfish are sold in a variety of ways. You can package the fish filleted, whole, steaked, smoked, stuffed, crusted or as jerky. Prepare simple packaging of catfish in a filleted, whole or steaked form by making select cuts using a fillet knife. Wrap the fish in clear plastic protective wrap and firmly rewrap with white freezer packaging. Label each package according to preparation method, weight and price per pound. You can also prepare the catfish using a smoker or make jerky using a dehydrator. 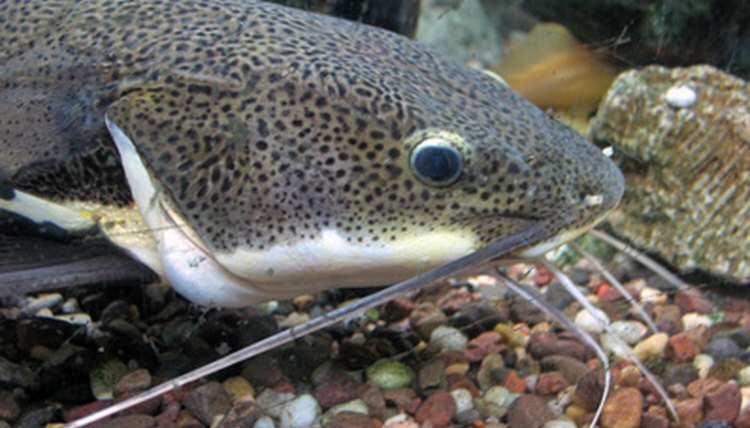 Determine what market demands are for freshwater catfish in the area. Sell it either in grocery stores or local restaurants in small town or rural areas. Small town grocery stores and restaurants save money when they purchase fresh fish locally instead of from trucks. In larger urban areas, sell the fish to grocery stores, open markets or restaurants. Use word of mouth or marketing to promote the fish. Minnesota Sea Grant: Fish Farming is it for You? Steph Radabaugh has been writing on gardening and mental health care since 2005. Her articles have helped people create beautiful gardens and sparked the interest of state lawmakers in Iowa's health-care organizations. Radabaugh has a Master of Science in industrial organizational psychology and has pursued her Doctor of Philosophy in research psychology.